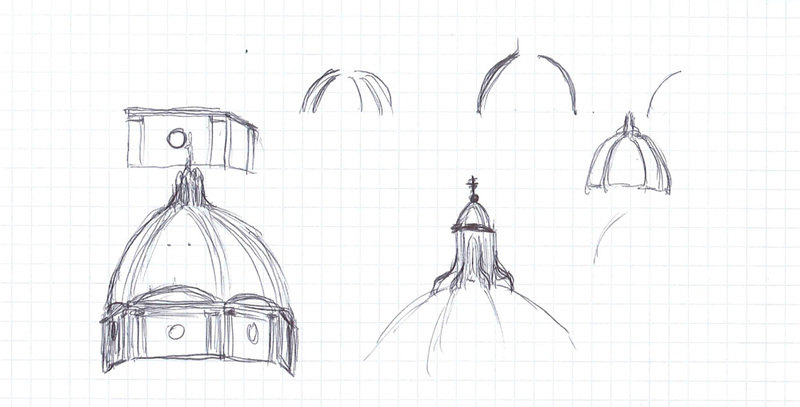 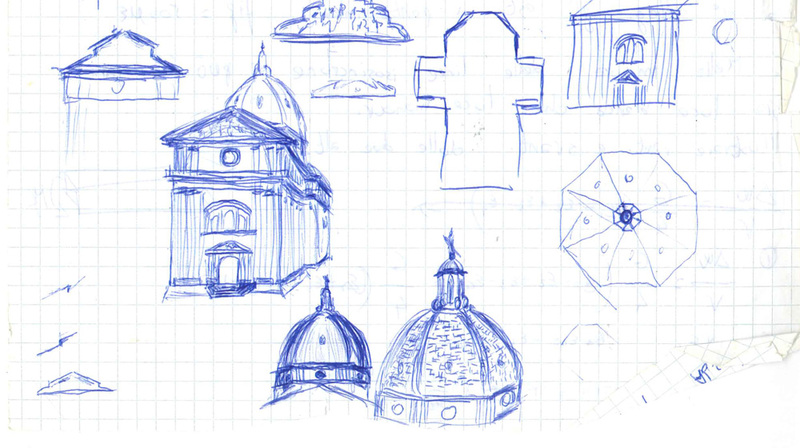 In this section are presented some sketches used to define the main aspect of the most significant buildings; in image 1,2 and 3 are shown sketches of the church: possible solutions for the leading structure of the dome of the church, the facade, the top and the lateral view. 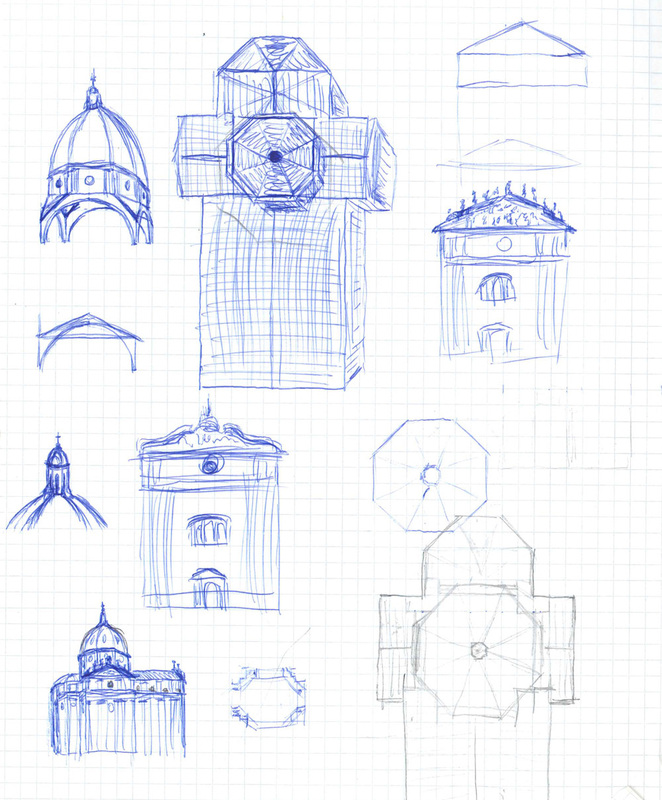 Some sketches were also made in order to evaluate the impact of the buildings with the surrounding environment, as made for the church in figure 4. 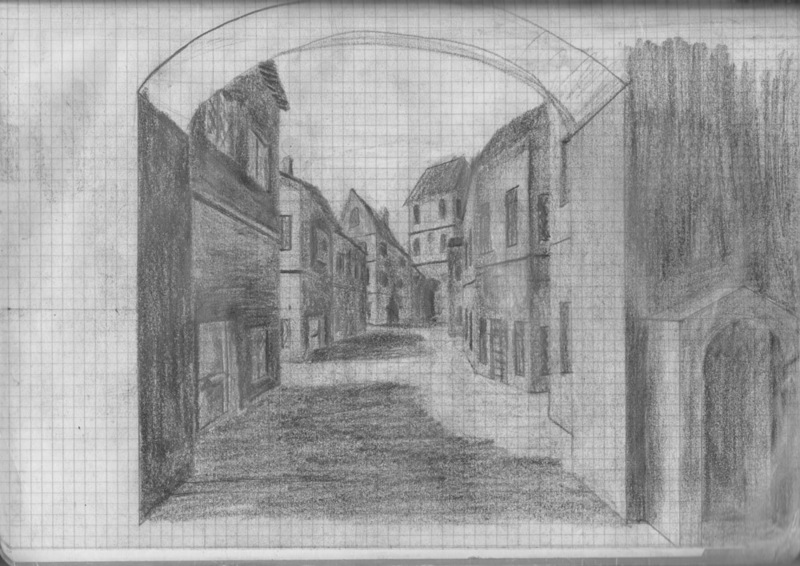 Sometimes, however, were realized sketches to imagine, for example, a new quarter of the town (figure 5); most of them are condemned to remain projects. 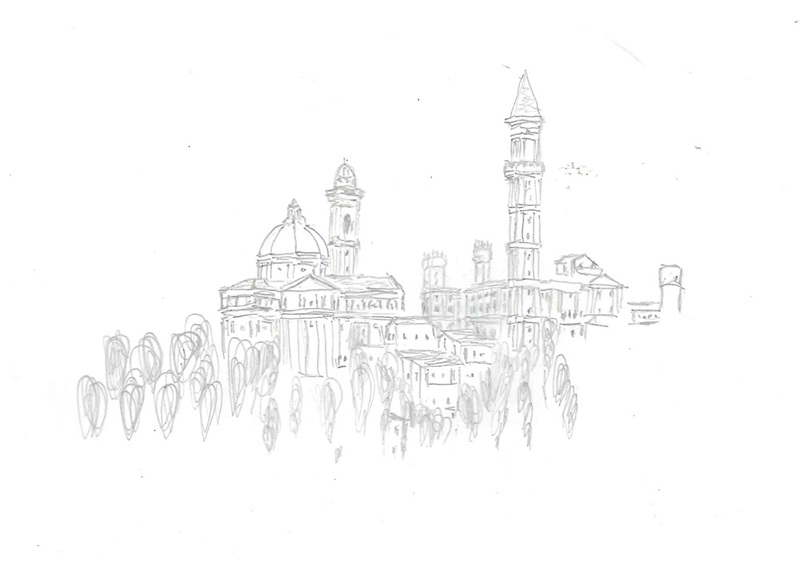 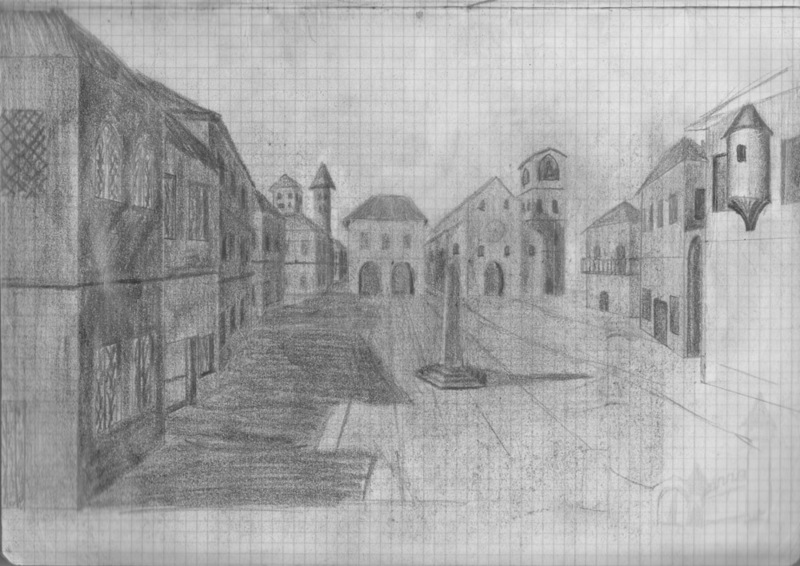 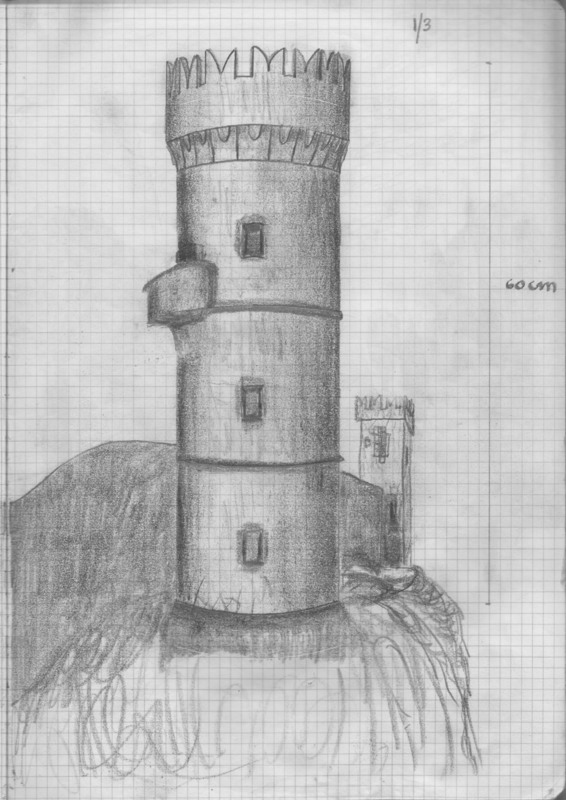 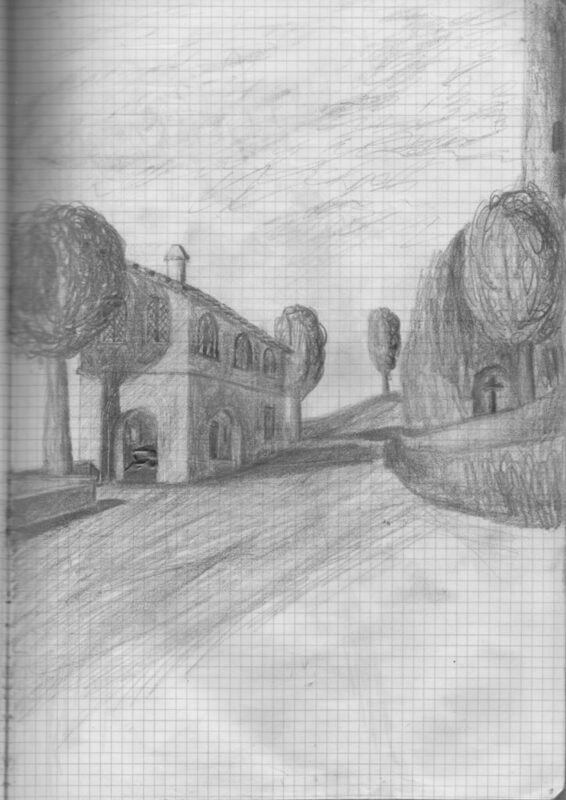 Other sketches were realized before the start of construction of the town, in the years 1999-2000 (figures 6-9).